The unannounced performance benefitted AK Press, 1984 Printing, and individuals displaced by a devastating fire in March. 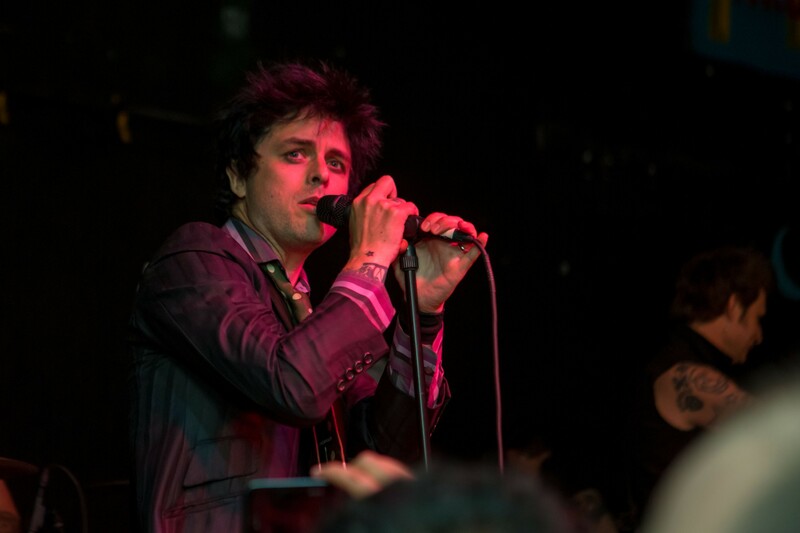 "So the last time we played here was September 6th, 1993," announced Billie Joe Armstrong. 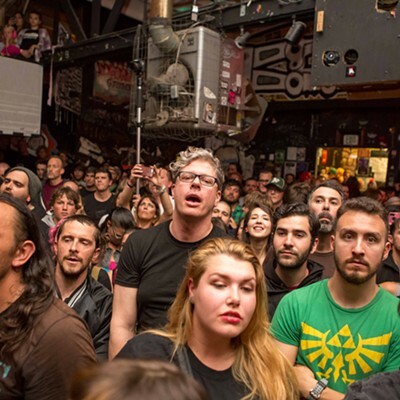 He was on stage at storied Berkeley venue 924 Gilman Street, flanked by Mike Dirnt, Tre Cool, Jason White, and Jason Freese. 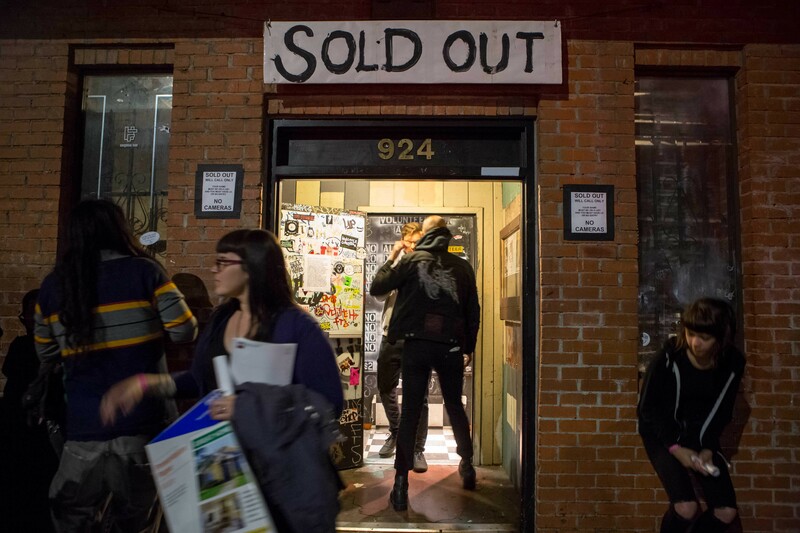 It confirmed for the sold-out crowd an open secret stirring the local punk community in recent weeks: Green Day would perform at Gilman, as part of a concert series benefitting AK Press, 1984 Printing, and individuals displaced by a devastating fire in March. Armstrong continued, "Mike Dirnt's first pit was here at Christ on Parade." Green Day opened with "99 Revolutions." The band appeared giddy to revisit the hangar-like room (even if they shacked up at Pyramid Brewery across the street beforehand) and for nearly two hours the audience reciprocated Green Day’s enthusiasm. 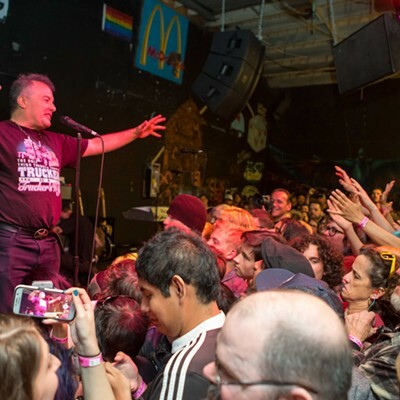 It was heavy on hits and guests: Jello Biafra introduced the group, emphasizing the cause (and scolding a parent who apparently didn’t properly protect their child’s ears.) Mike Pelino, vocalist of specially reunited opening act The Enemies – whose drummer, Jason Willer, lived in a building caught in the blaze – joined the group for one song. 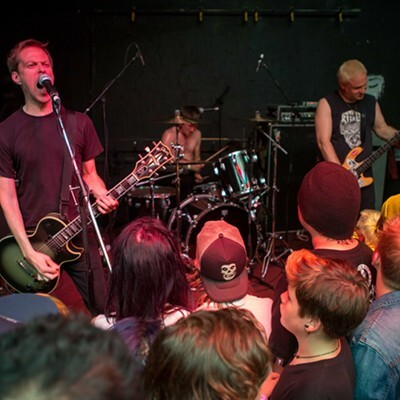 Rancid’s Tim Armstrong guested for a cover "Knowledge," the standby track of his old Gilman-steeped act, Operation Ivy. 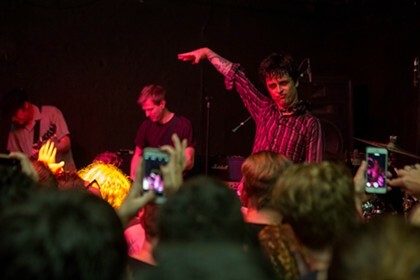 Reunions were abundant: The sounds of former punk peers uproariously reacquainting in the crowd was the evening's constant refrain. It was a little incongruous to see Green Day's stadium-calibrated rock gestures – such as Tre Cool leaping atop his stool at the finale, arms splayed akimbo – crammed onto a low platform beneath the venue wall's permanent fixture: an imposing "NO STAGEDIVING" sign with little actual authority. It was also a treat. Green Day is composed of journeymen performers, all keen to deliver beloved material with gusto and fidelity to the recordings. 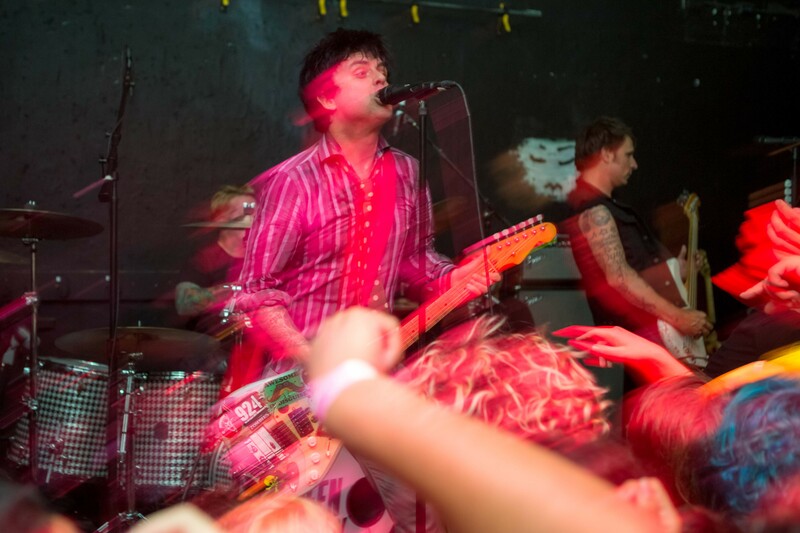 When Green Day strayed from studio arrangements, extending a solo or bridge, Armstrong effectively signaled to the crowd that it was special, then emphatically directed the group back to familiar titular sentiments. Not everyone's happy about this. 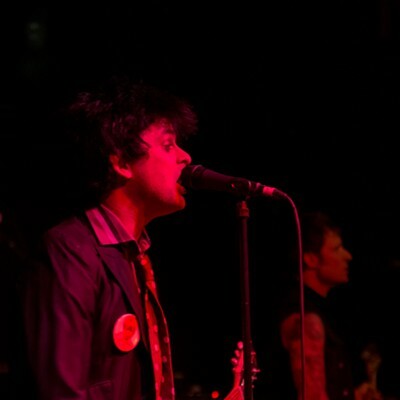 Armstrong didn't mention that his group hasn't played Gilman since that distant September because the club banned major-label acts around the same time, largely due to the Green Day's popular ascension and the political ramifications of commercial interest in a staunchly independent scene. 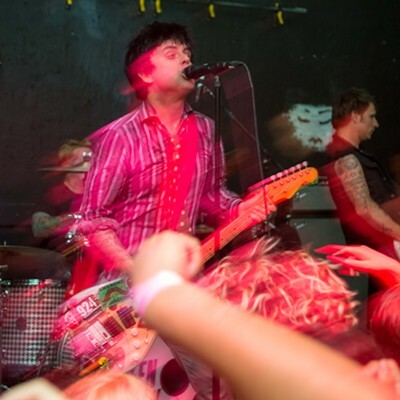 Some punks perceive Green Day's appearance as Gilman reneging on its principles. Still, there were no indications of dissenting punk opinion last night, especially not in front of the stage. The first crowd-surfer looked about thirteen, likewise with the first intrepid stage-diver. Green Day enlisted some gentlemen to mind such audience transgressions, but they were pretty restrained. Another kid, clad in a studded denim vest, snatched the mic in time to shout the last few lines of "Holiday" before blissfully reclining back into the churning crowd. He didn't appear to resent the symbolism of Green Day's return to Gilman. No one distributed indignant tracts outside the club (it's happened.) 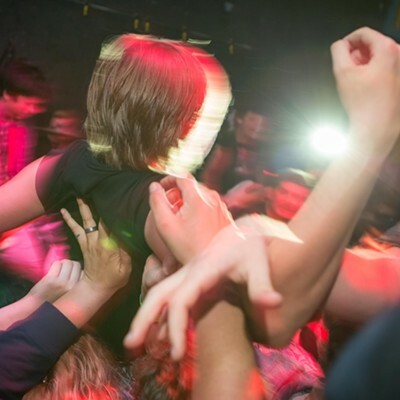 As the audience spilled out into the street, a young Gilman volunteer did stand by, entreating attendees for another donation to those harmed by the fire. AK Press, meanwhile, handed out its latest book catalog. The introduction reads, "With support like this, it will make more than a fire to stop us."